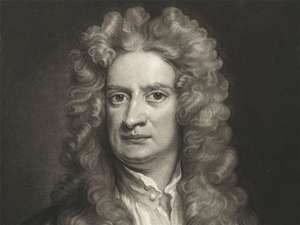 Newton’s second law is a quantitative description of the changes that a force can produce on the motion of a body. It states that when an external force acts on a body, it produces an acceleration(change in velocity) of the body in the direction of the force. This postulate is most commonly written as F = ma, where F (force) and a (acceleration) are both vector quantities and thus have both magnitude and direction, and m (mass) is constant. Although it may sound a bit dense, Newton’s second law is one of the most important in all of physics and, like the first law, is also pretty intuitive. For example, think of a small rubber ball and a bowling ball. In order to get them to roll together at the same speed, you would need to push harder (apply more force) on the larger, heavier bowling ball because it has greater mass. Similarly, if the two balls are rolling together down a hill, you can predict that the bowling ball will hit a wall with more damaging force than the smaller ball. This is because its force is equal to the product of its mass and acceleration.